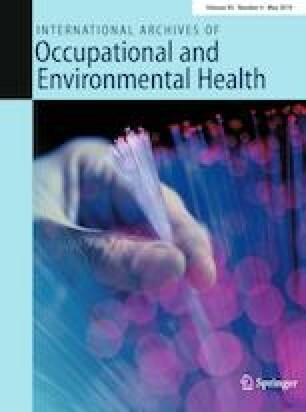 This study aimed to investigate whether the finger skin temperature (FST) after cold provocation (10 °C, 10 min) is as a useful indicator for assisting in the diagnosis of vibration-induced white finger (VWF) in a group of polishers in a subtropical environment. Ninety male vibration-exposed metal polishers (30 patients and 60 controls) from the Guangdong Province in Southern China were recruited. The FSTs at 30, 20, 10, and 0 min before cold water immersion (FSTpre-30, FSTpre-20, FSTpre-10, and FSTbaseline) and 0, 5, 10, 15, 20, 25, and 30 min after immersion (FST0, FST5, FST10, FST15, FST20, FST25, and FST30) were measured on the index, middle, and ring fingers of both hands. During the first 20-min adaptation period, there was a significant increase in FST in three fingers on both hands in the two groups. In contrast, there were no significant differences between FSTpre-10 and FSTbaseline. Furthermore, FSTpre-30, FSTpre-20, FSTpre-10, and FSTbaseline of the three fingers in both hands did not differ significantly. During recovery, the indicators FST5–0, FST10–0, R5, and R10 for the index finger of the left hand in patients were lower than for the controls. Among the various indicators, the absolute recovery rate, FST5–0, at 5 min after immersion was identified as the best diagnosis indicator with a sensitivity of 76.7% and specificity of 70.0% when applied to the index finger of the left hand. The cold water immersion test as applied in a subtropical environment can have a fair discriminating ability for diagnosing VWF. We thank Dr. Paul-Émile Boileau of Concordia University, Montreal, Canada, for his guidance and participation in the revision of this paper. BX and QC were responsible for conception of the study and study strategy. BX, HQ, QC, and YY participated in the study design. BX, DZ, MY, XZ, HL, and TC performed the experiments and collected data. BX and WW analyzed data. HQ and QC contributed to the supervision of the study process. BX wrote the first draft of this paper. All authors provided input to the data analysis plan, data interpretation, and critical revision of the successive drafts of this paper. This study was funded by the National Science Foundation of China (NSFC; grant number 81202183), the Science and Technology Program of Guangdong, China (STPG; Grant number 2013B051000065), the Open Projects Program of Guangdong Provincial Key Laboratory of Occupational Disease Prevention and Treatment (Grant number 2017B030314152), and Guangzhou Science and Technology Project (201804010099). This study was approved by the Ethical Committee of Guangdong Province Hospital for Occupational Disease Prevention and Treatment.